When you need a quick pop up canopy, this 12 foot by 12 foot, straight leg model is a perfect solution. The frame is very portable and collapsible. The stable tubular steel from features beam welded construction. The frame has a baked on powder coating that will not rust, chip, peel or corrode. The cover is polyester. This polyester cover is resistant to mold, mildew and fading. The cover is UV treated to protect from the harmful rays of the sun. Is the top water resistant? I need to use it even in the rain. These tops are indeed water resistant. However, they are not water proof. After much exposure to rain, water could begin to seep through the top fabric. How many height adjustments are possible with these legs? What are the differences between this canopy and the ShelterLogic 12 X 12 Straight-Leg? Can this canopy be set up with two adults or do we really need three people? There are four height adjustments ranging from 6'-2" to 6'-11" valance height and 9'11"-10'-8" peak height. 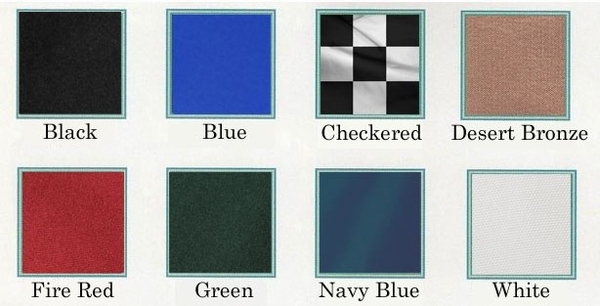 The main difference is this canopy and the ShelterLogic 12 x 12 Straight-Leg is that this canopy allows you to choose from among different top colors. Two adults can easily erect the canopy. Does this canopy have mosquito netting and wall's that come with it? Or can it be purchased extra? No it does not and there are none available. None of our 12 x 12 canopies have that option available. What is the full weight of this 12' x 12' canopy tent? 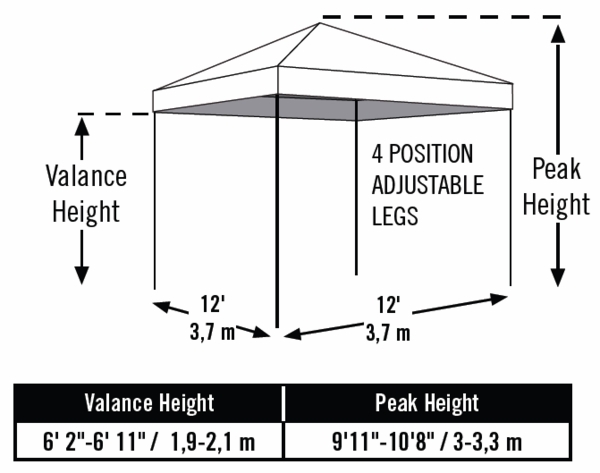 This 12' x 12' pop-up canopy tent has a shipping weight of 64 lbs.